PBR Streetgang are unequivocal veterans on the house and electro scene. Having mixed their way across the world’s biggest parties, first cultivating their craft at Ibiza’s famous Asylum, PBR are bringing their debut album ‘Late Night Party Line’ to new venue BAL Fashions on December 9th, in collaboration with disco and house party starters Nice Like Rice. 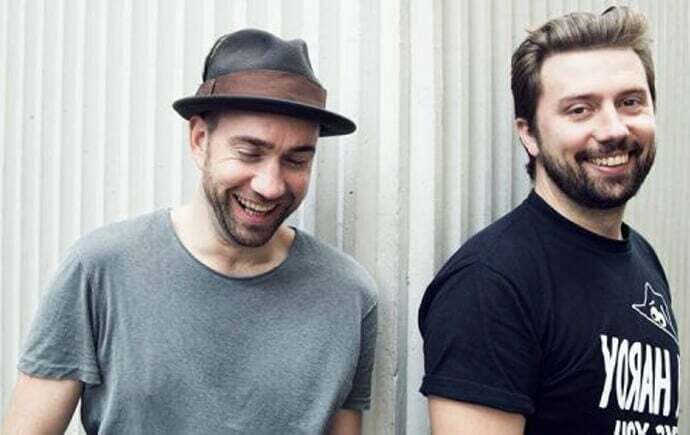 Louise caught up with Bonar Bradberry and Tom Thorpe to find out more on the duo’s nostalgia for the Steel City and why they’re going back to their roots, swapping some of Europe’s biggest dance venues for the independent and intimate on their return home to the north. You started-off in the Leeds nightlife scene, how does it feel to be back up North for a good chunk of the Late Night Party Line album launch tour? We’re both really excited about the album and of course the parties surrounding it. The north is pretty special to us – it’s our home, it’s also where it all began for us all those many moons ago, so we’re really happy to be holding parties in both Leeds and Sheffield! It’s really exciting to see Sheffield on the tour map, especially alongside institutions such as Fabric in London! What are your ties with the Steel city? Both of us have a connection with this city… Tom used to go to the Music Factory for ‘Love 2 Be’ and Bonar to Gatecrasher (when it was good!) – You’re talking twenty plus years ago! We also played a few times at ‘Bed’ when that was still running. We always remember the city having a really strong nightlife culture. 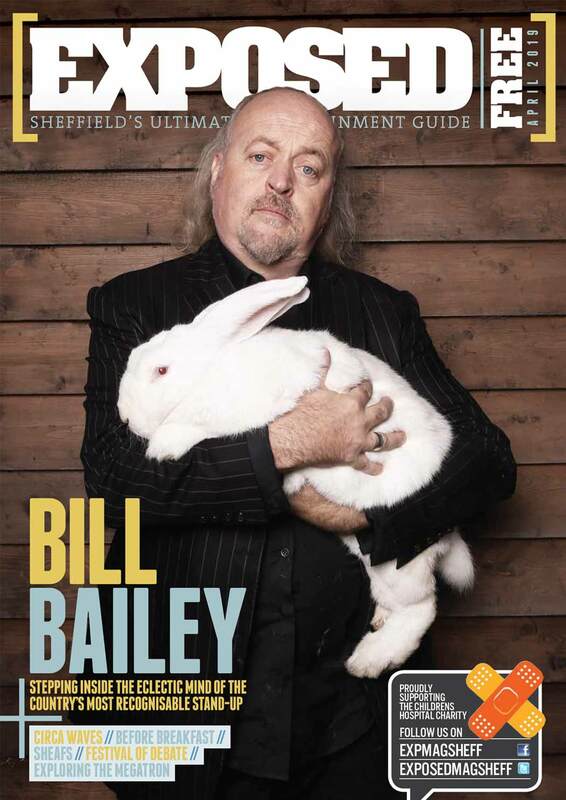 Compared with some venues on the tour, your stop in Sheffield is at a tiny independent venue – BAL Fashions. How do you feel about playing at these more intimate venues?Playing the likes of Fabric is obviously such a huge honour but equally we’re really happy playing the smaller venues, especially longer sets like we have planned at BAL Fashions. It almost feels like the pressure is off a little, you can feel more comfortable playing a broader range and style of music. You can be more risky which is exciting for us and the people listening. This is also going to be the first outing for our hand built ‘Condesa’ rotary mixer, so we’re giddy to hear what it’ll sound like! We’re loving the title track ‘Late Night Party Line’ and can’t wait for the full album release on December 1st. After almost a decade of EP releases, what inspired you to push the boat out and release a full album? Thanks! Although, the release date has now been pushed back to the end of January. We’d been talking about making an album for three of four years prior to it actually happening, so when it did finally come together we were both subconsciously prepared to tackle it. And because it had been in the pipeline for years, the process was relatively quick, but also fun – everything flowed naturally, we were both on the same page with it so to speak. How has producing your debut album compared with your previous EPs? Making an LP is totally different to approaching making an EP. The latter is basically making tracks for the club environment, whereas an album tends to be made for a listening format, well we think so anyway. So after making EPs for almost ten years, we were definitely ready to make something that requires a different approach. We’re also into lots of styles and genres which made the creative process of sketching ideas a lot more fun. How was it working with guest-vocalists Mattie Safer from The Rapture and Danielle Moore from Crazy P? It was absolutely amazing! We’re big fans of Mattie’s. We had his name in mind as soon as we knew the track would lend itself to a vocal. It all happened very effortlessly which was a bonus. We sent him the track and he loved it, so agreed to get involved – if only everything was that easy! And Dani, well she’s been one of our best friends for a long time. We always knew we wanted to involve her and Jim in the album, even before making it! Other than your own music, what sounds can we expect to hear at BAL Fashions on December 9th? We call it ‘the kitchen sink’ style of DJing… it’s got a bit of everything in there. What’s been a driving influence behind the sounds that you both create and play? Probably disco. We’re both huge fans and avid collectors. You can’t not love it really. What’s next after the album-launch tour? Well December is really busy with gigs, so we’re gonna put all our efforts into that first off. Then maybe take a wee break before heading back into the studio to write loads more music – I think we’re going to try make a few EPs this time. And finally, do you have a favourite track on the album for us to watch out for when the release date comes around? It’s really hard to single-out one track. However, we’re both really proud of ‘Everything Changes’ featuring Mattie – so keep your ears tuned for that one coming! The PBR Streetgang album launch tour presented by Nice Like Rice hits Bal Fashions on 9th December. Tickets are available from £6 here.